SuccessStory Of Guiddoo, a platform that helps you discover and book in destination experiences across 15 countries. Registered Entity Name Guiddoo World Travels Pvt. Ltd.
Have you ever been to a new travel destination, and felt clueless about what to do? Even though most of us today do research online before visiting any destination, there is a possibility that we may miss out things. Booking tickets to your favorite tourist spot, reserving seats for that river cruise or spa massage, or hiring guides to guide you through the historical monuments, lots of planning is required to make the holiday experience perfect and Guiddoo is here to help you. With features such as audio-visual guide, information related to history and trivia and free concierge services, Guiddoo solves all your in-destination travel needs. With its growing popularity among Globetrotters, Guiddoo aims to be a One-Stop Platform for travelers to discover and book great travel experiences during their international trip. Travel apps rank 7th among the most downloaded category of apps. According to Criteo, currently, more bookings are being made through apps as compared to desktop or mobile web. Also, travelers make 80% of last minute booking on the app. As such, Guiddoo being an app with many features like step-by-step tour, key sights, timeline, history & trivia, images gallery, tourist information and booking facilities is fast gaining popularity among travelers. Again, the Market Size for in-destination tours and activities will reach approximately $200 billion by 2020, as projected by PhocusWright. Guiddoo focuses on Indian and China outbound travelers to 15 destinations, the market value of which is approximately $20 Billion annually. Vineet Budki, Nidhi Varma, Prashant Choudhary and Biswajeet Karmakar are the founders of Guiddoo. Vineet Budki is the CEO & Founder of Guiddoo World, Guiddoo World Travels Pvt Ltd & Guiddoo World FZ LLC. He founded Guiddoo - initially as an audio guide that later pivoted to a Marketplace for Tours and Activities in 2013. Vineet has a rich experience of 15 years in Technology, Travel and Airline industry and has worked with companies like Rocket Internet, Emirates Airlines, Paytronic Networks and Tata Consultancy Services in the past. He started his first company Butel in the year 2009 - an online comparator for DTH Services, which later became the online arm of Videocon d2h. Nidhi Varma is a graduate from Narsee Monjee Institute of Management Studies. Prior to Guiddoo, she worked with Emirates Airlines. Prashant Choudhary is a graduate from IIT Kharagpur and worked with Erricson as a software developer and mobile team head prior to joining Guiddoo. Currently, he is the Chief Technical Officer at Guiddoo. Biswajeet Karmakar is a graduate from Mumbai University, and prior to Guiddoo, he worked with organizations like E-cell, Unitech Marketing Services and Computer Society of India, KJSIEIT. Biswajeet is the director of sales at Guiddoo. It was 2013 when Vineet and Nidhi was on a trip to Paris. It was a much-awaited trip and they did not want to miss even a bit of it. But unfortunately, things did not go as per plan. The idea came to Nidhi and me while on a trip to Eiffel Tower in Paris where we faced a lot of issues due to the language barrier and outdated information. 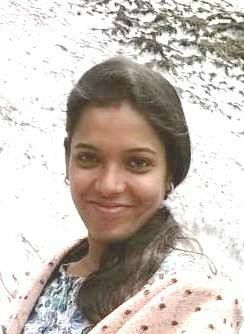 While it was Nidhi’s dream to visit the Eiffel Tower with her life partner, when they went to visit Eiffel Tower, they found that it was closed. They waited for the next day only to find that there was a huge line and they had to wait for hours to take the lift to the top of the tower. As the couple had time constraints, they could not visit the Louvre Museum. It was during this time that the couple felt the need for a mobile app, which could guide the travelers through the monuments and landmarks aided by audio and video. After coming back from Paris, the couple started doing research around key Indian Tourist places frequented by travelers and started working towards building smartphone-friendly audio-visual travel guide platform . Finally, the couple launched Guiddoo in 2014. The startup was incubated at the Government of Dubai’s In5 incubator for Hi-Tech Startups. The name for our startup came from the word “Guide” and the tagline was developed once we shifted to the Tours and Activities Module. Guiddoo is a platform to discover and book in-destination experiences. Initially, Guiddoo was developed just as an audio guide, which later pivoted to tours and activities booking platform. Currently Guiddoo is helping its customers discover and book in-destination activities and experiences across 15 countries. Guiddoo provides a platform for travel agents working on Indian travelers, traveling internationally to find and book great experiences. The USP of the platform is that it provides concierge services free of cost to the customers. The app evolves over time based on ratings of travelers using the platform to curate meaningful experiences like tours, activities, dining, shopping and entertainment options for other users. Guiddoo has made tie-ups with big brands like MakeMyTrip, Amadeus India, Mekong Tourism and World Free Zones Organization. The Guiddoo app is available both on android and iOS platforms. Besides the company has dedicated B2B and B2C platforms. The Guiddoo app is very convenient to use during traveling as it does not require a live internet connection, once downloaded. Guiddoo has a dedicated app for every city it covers. Guiddoo also has standalone apps for some famous landmarks which include, Taj Mahal, The Statue of Liberty, the Colosseum in Rome, Eiffel Tower, Angkor Wat and also newly developed tourist attraction like Burj Khalifa towers in Dubai. At present Guiddoo offers guides on 21 monuments in the English language. Guiddoo’s revenue source can be divided into 3 segments. While approximately 60% of the revenue comes from tour and activity sales, 15% comes from the audio-video guide and the rest comes from the B2B subscription model. Almost within 1 year of its inception, Guiddoo has been downloaded by over 1,00,000 users. Besides, over 2,00,000 visitors visited the company’s website just within 2 months of the launch of their website. According to Vineet, personal reach out and information exchange via the social media platforms were the keys channel used for informing everyone about Guiddoo. 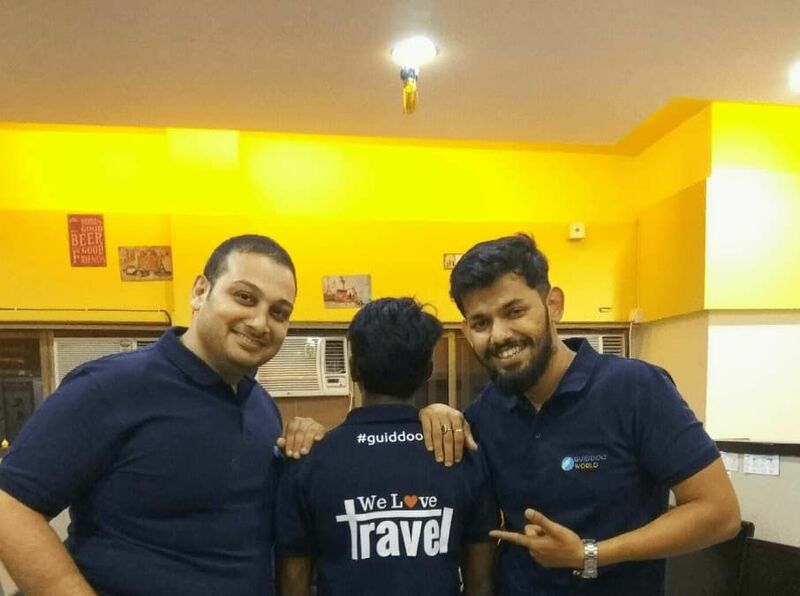 Guiddoo has focused a lot on building the experience part of a customer’s travel while they are on ground which includes offering superior products with great service levels by developing technology around it. We believe this has contributed a lot to our brand and helped us in garnering more users and their loyalty. In March 2019, Guiddoo raised an undisclosed amount of funding from SOSV & Artesian. Guiddoo plans to use the Series B funding to expand its operations in China. The company is also planning to add new destinations of Middle- East and Africa into its package to attract the Chinese market. Guiddoo has raised funding worth $1.1 million in 4 rounds. A strong team, good business networking and a well tailored product helped Guiddoo deal with these challenges. 1,00,000 users downloaded Guiddoo just within around 1 year of its inception. It has been able to attract 2.00,000 web visitors just within 2 months of launching its website. Guiddoo has been able to attract and secure funding from international investors. The company has been able to secure tie-ups with big brands like MakeMyTrip, Amadeus India, Mekong Tourism and World Free Zones Organization. It has partnership with over 4500 travel agents. It has served over 30,000 customers with over 65,000 activities. Covering 100+ monuments and tourist attractions around the world. Making the audio guide available in 9 languages including Spanish (Spain & South American), French, Italian, Hindi, Chinese (Cantonese & Mandarin), Korean, Japanese, Arabic and Russian. Starting Operations in China by 2019. Building a pan India distribution network for its tours, activities and holiday products.